A rising Indian Archer Gohela Boro of Kokrajhar, Assam is suffering from the diseases SLE (systemic lupus erythematosus) and ANCA (anti-neutrophil cytoplasmic antibodies) since November 2016. She is the daughter of Ratan Boro and Hapwr Boro. A renowned archery player who brought glory for Assam and the nation in the recent past by presenting the state and country in different State and National level archery competitions. Starting her sporting career in 2008 from Sports Authority of India (SAI), Kokrajhar she has won a total 72 medals at various National, State, and District level Archery competitions. Most recently she won a gold medal in 2015 National Games which was held in Kerala. She had also won four gold medals – three in individual events and one in a team event – at the 60th National School Games held in Guwahati in 2015. She was even selected to represent India in international events which she could not make due to her illness. Why does she need your help? Gohela has been battling for her life since November 2016. She was treated at Gauhati Medical College (ITU) from 23rd November 2016 to 13th January 2017. On 13th January 2017 Gauhati Medical College referred her to AIIMS, New Delhi or Apollo, Chennai. Since then she was simply lying on the bed as neither she nor her family could afford the required treatment, due to their poor financial condition. Since last week of March 2017Gohela has not been able to eat anything and was just surviving on a bowl of water. Her fingers and left leg toe are decaying and slowly she is losing her parts. Till now she lost her left toe and few fingers. On 5th April 2017 Discovery Club, a Kokrajhar based NGO visited her and temporarily admitted her to RNB Civil Hospital, Kokrajhar. However, the doctor has advised to shift her to AIIMS, New Delhi or Apollo, Chennai as soon as possible for her further treatment. Thus, family members of Gohela are planning to move her to AIIMS, New Delhi as soon as possible. Gohela's father is a daily wage labourer and mother is a peasant they have given everything they could on Gohela's treatment now they only have hopes left. 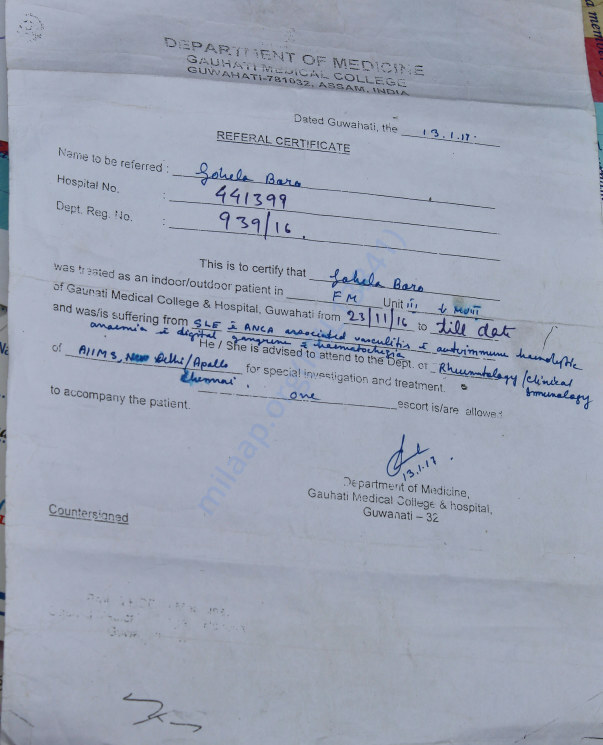 Approximate estimation by the Gauhati Medical College suggests that an amount of more than Rs. 5 lakhs will be required for her treatment at AIIMS, New Delhi. It is very sad to see a player of her merit to suffer so much. Ms. Gohela is our pride, our talent, and our dignity. Therefore, it is a humble request to one and all to donate whatever you feel like is right and share the cause with your friends and family so that she can come out of this battle, go back to archery. The required amount is large, but with enough people willing to help, it won't be a hurdle at all. 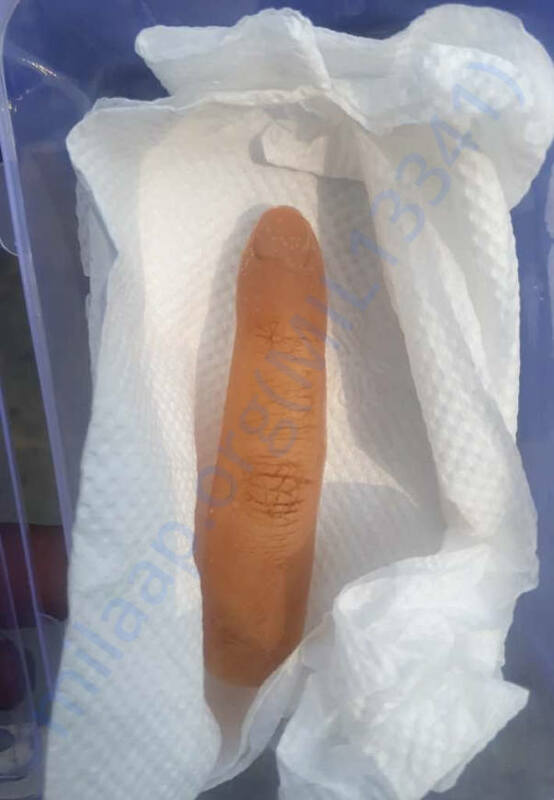 A cosmetic finger has been purchased on 25th September 2018 from Ideal Artificial Limbs Solution, New Delhi worth Rs. 14000. We shall keep you posted. Thank you everyone! As requested by one of the supporters of this campaign I would like to make a short update of Gohela Boro. We were trying to get some quotations of a compound bow however could not manage it as there is no dealer of the same in the region. 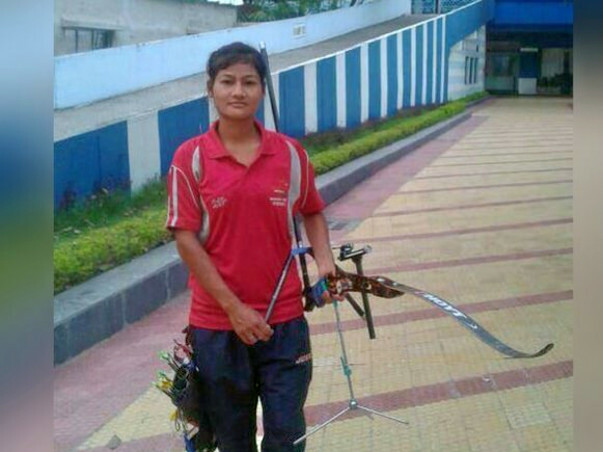 As far Gohela's and District Sports Officer's knowledge, a compound bow cost around Rs.2,70,000 - Rs. 3,00,000. Gohela has already booked a train ticket to New Delhi for check up of the month/quarter in AIIMS. She will leave from home on 24th July and the return ticket from New Delhi is on 29th July 2018. 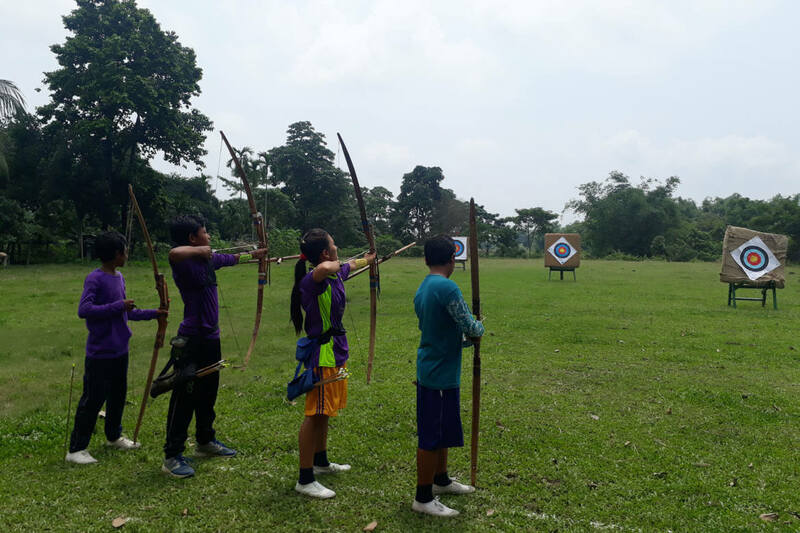 As mentioned in the last update of this campaign, Gohela is still training local children on archery for free of cost in her village itself. 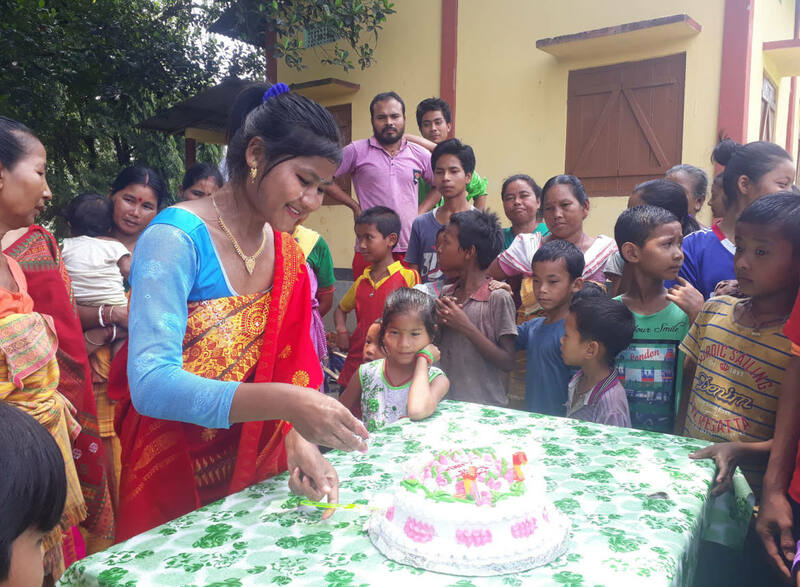 Interestingly, she organised a competition event of archery for her students on 6th July 2018 during her birthday celebration in the village. Really sorry for the delay of update, it has been more than 6 months from the last update about Ms. Gohela. She is doing good but still she has to visit the hospital (AIIMS New Delhi) once in a quarter. She is on medication and she assumed that the plastic surgery on her limb will not work as the limbs are growing steadily. Her medicines cost worth Rs. 15000-16000 a month but the Government is yet to reimburse her expenses. She has been submitting the receipts of her medical expenses as directed by the Ministry but it has not been progress. 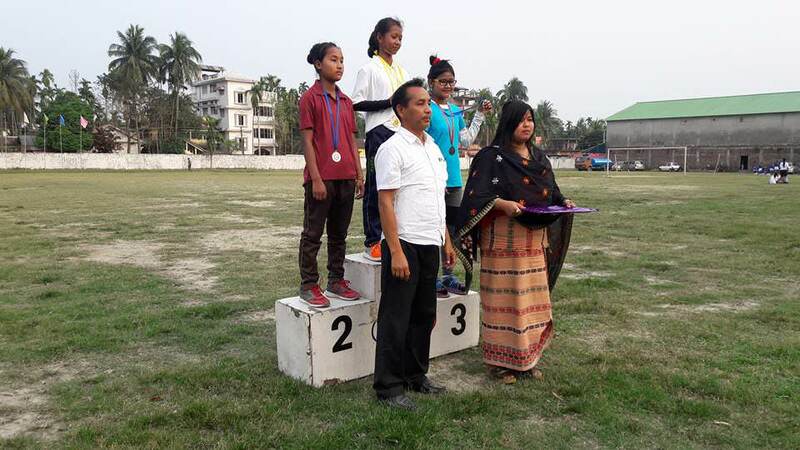 Interestingly, Ms. Gohela won a Silver Medal at 6th Bodoland Territorial Council Sports Meet held at her own district Kokrajhar in the month of March 2018, despite no practice and under extreme pain for more than 2 years. She regained the strength of her skill after winning the Silver Medal and started an archery campaign in her village itself. She trained 20 village children in archery, borrowing equipment from her friends and the district sports authority. 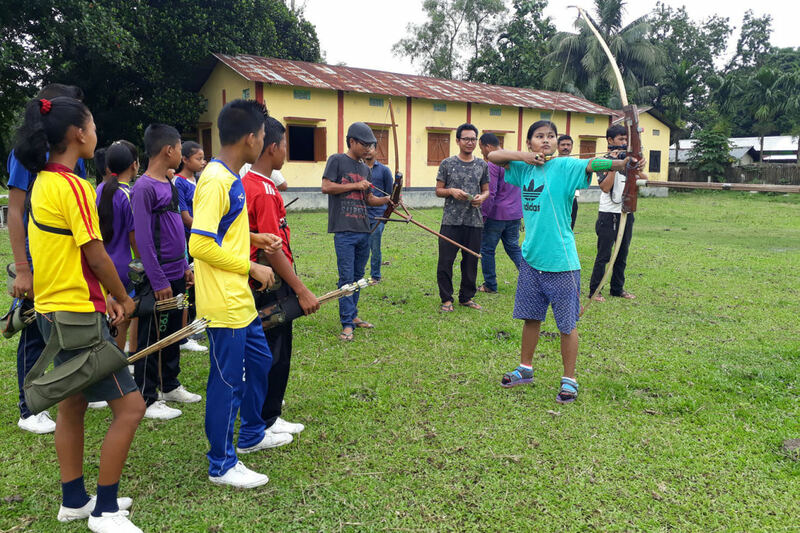 More interestingly, 9 out of 20 trained children has been selected to be trained in Sports Authority of India (SAI) Centre, Kokrajhar. 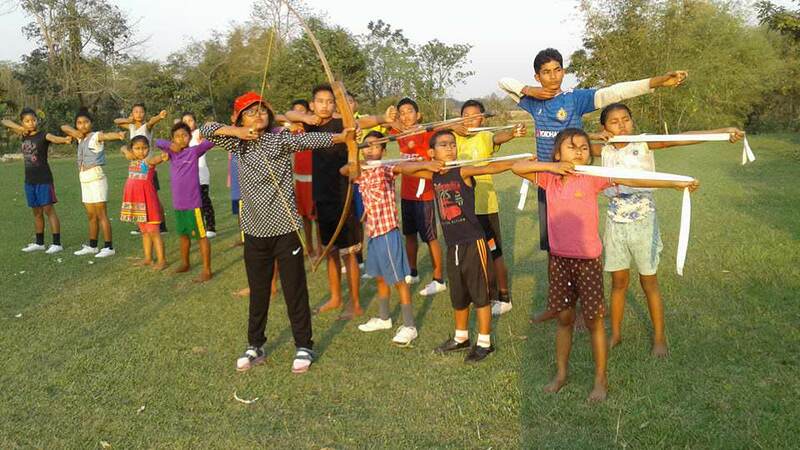 Total 7 out of 9 selected children will be trained in archery and the rest has opted boxing and karate respectively. Gohela expressed that she cannot imagine life without archery. She told me that Archery is something which she has been passionate about since 12 years old. She do not want disability to hold her back. She want to represent India at the international level and win a medal to honour all the people who have helped her so far. However, she finds it very hard to draw a normal bow and hence Gohela is trying for a compound bow used in modern archery. Unfortunately, she can not afford it. Any hopes of returning to archery hinge on her ability to acquire a compound bow. Thanking you and look forward. Get well soon Gohela. God bless you.